Flour, water, yeast. At its most basic, bread begins with earth-based elements transformed into a humble, yet exquisitely soul-satisfying food—so ubiquitous it’s been called the staff of life. 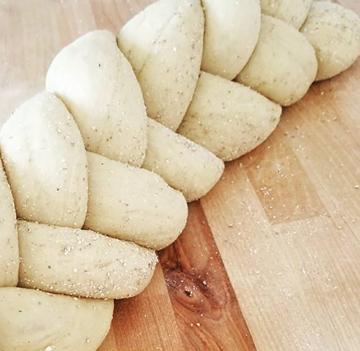 Of course, the art and craft of bread baking brims with metaphors—all of which swirled around my head when I first heard about Flourish Bakery, a social enterprise of the Utah-based nonprofit Unshackled. Unshackled’s stated mission is to “cultivate a sustainable community where individuals who find themselves marginalized in society, because of either addiction and/or incarceration, may transform lives through mentor relationships grounded in life and job skills training.” And the group has done just that, through prison-based culinary, horticultural and counseling programs in Utah where statistics show that 90 percent of individuals incarcerated are struggling with a substance abuse disorder—10 percent higher than the national average. 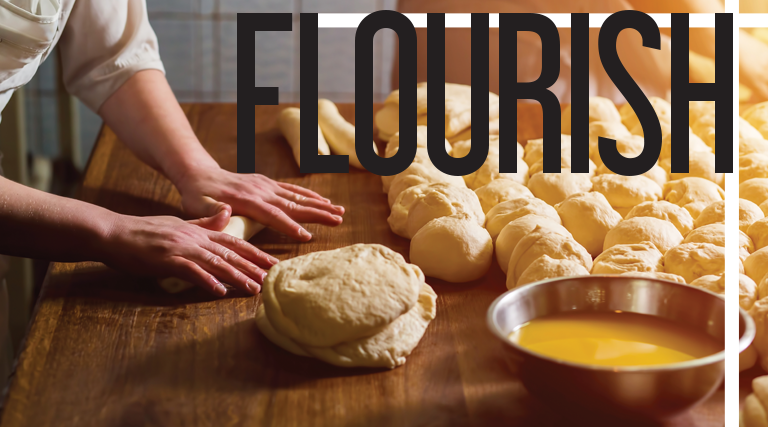 Now, Flourish Bakery, the love child of several local culinary professionals, is taking the work of Unshackled to the next level. The bakery, which is in its pilot-program phase, is first and foremost a place of hands-on learning, employment and preparation for a new life for people leaving prison or recovering from addiction. 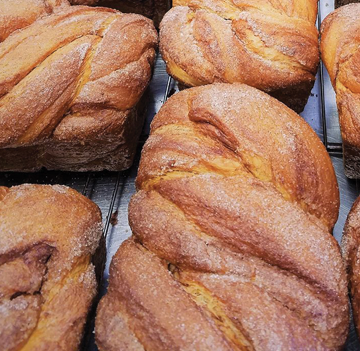 It will debut its wares at Salt Lake’s Downtown Winter Market at Rio Grande and then eventually as a brick-and-mortar destination where consumers can indulge in artisan breads and pastries year-round. Students go through a 15-month paid apprenticeship (the paid part is key) that includes the full curriculum of pastry skills. They study the exact science of creaming methods, custards, chiffon cakes and croissants. They also master the more intuitive art of baking bread—treating the dough with patience, forgiveness, nurturing and, finally, transformation. All of this, woven with training for the basics they need to move forward—including managing the money they make and working together—has the power to change not only the students, but everyone involved in the enterprise. And that, according to Executive Director Amiee Altizer is the crux of the story. “Flourish Bakery is a community-based project that has been more than a decade in making,” she says. Indeed, its roots run deep in Salt Lake’s supportive Slow Food, restaurant and farming communities. Altizer and one of her many culinary soul mates, Patricia Fava—specialty food buyer for Muir Copper Canyon Farms and longtime professional baker—are two of the driving forces behind the endeavor. 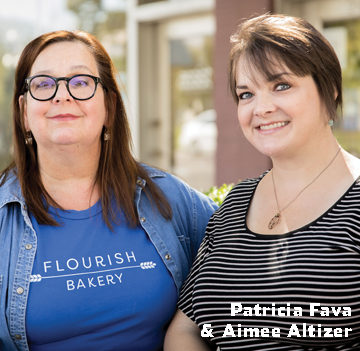 With a shared past that winds all the way back to the long-gone Avenues Bakery, they routinely finish each other’s sentences—each as excited as the other about the life-changing potential of working with dough to create change. Both will teach classes, along with Les Madeleines owner Romina Rasmussen, and a rotating faculty of other top pastry professionals. The Unshackled team has researched similar programs around the country, such as Homeboy Industries in Los Angeles, FareStart in Seattle and Haley House in Boston. Each one shares a mission of transformation, but no two are exactly alike—and Flourish stands ready to make its own mark. Surely it will be a game-changer for countless people in Utah—from students to staff and volunteers, and to those of us who appreciate a great loaf of bread—and a great big hug.